 Fountain View is one of the several Dial Retirement Communities we feature on this page. That is because of iHappiness. This underlying principle shines through in all of their communities, down to the individual programming. iHappiness is a tone of compassion that is instilled in the staff at first training, and enforced over prolonged service. Employees take a personal stake in how residents do, and it shows. Comfort Care Homes have been in Omaha since 2002. They have 3 residential, group homes around town. These ordinary looking homes house from 6-9 residents, plus their caretakers. Please visit Comfort’s website, and look at the virtual house tours. Group homes usually have a waitlist and can be expensive, but they offer a truly amazing way to grow older! Plus, Comfort offers memory care, which is rare at group homes. House of Hope is dedicated to keeping their residents safe. Their beautiful campus has secure entries, and wrist bracelets to make sure that nobody wanders off. Dogs and cats are also allowed in certain apartments, which can really be helpful when transitioning to a new place. There are several great shared spaces, like Steve’s Soda Shop, where residents can relax or meet with visitors.